Limited Lifetime Warranty and Free Replacement on EVERY component. Up to 300-lb. 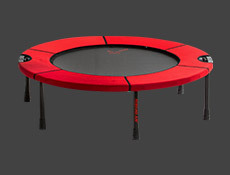 user weight on the Standard and Half Fold ReboundAIR™, up to 400-lb. on the Quarter-Fold, The Ultimate Rebound™. Virtually indestructible metal frame with baked-on, high-gloss enamel paint (the frame is dipped, not sprayed). The frame is also guaranteed to confidently support up to 300-lb. user weight, up to 400-lb. on the Quarter-Fold, The Ultimate Rebound™. Guaranteed maximum structural integrity, even for the Half-Fold (frame folds in half, legs fold under) and Quarter-Fold (frame folds twice, legs fold under). We have developed the BEST springs on the planet! We feature the highest caliber Soft-Bounce springs available to provide the perfect balance between the mat firmness with just the right amount of jump response and joint-friendly soft-bounce resilience. 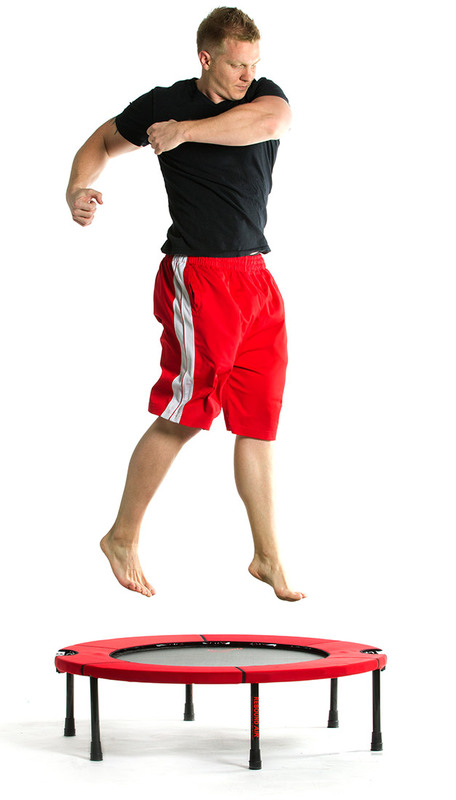 Our wide-belly, 3 tier-tapered shaped springs creates an ideal bounce which promotes body alignment and prevents ankle pronation. 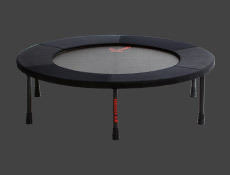 The ReboundAIR™ has larger, longer and stronger springs than competitor brands. Permatron™ mat, with double-sided, reinforced circumference bands. Meticulous workmanship to withstand 300-pound user weight and guarantee decades of regular use. The most innovative, safe, durable, PATENTED hinges on the planet; rounded and internally bolted to prevent spring cover tears that are so common with other brands. Read more about our revolutionary hinge design. 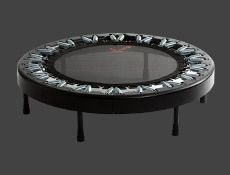 Fitted legs that unlock and fold for easy storage of your ReboundAIR™ rebounder, even on the Standard model.